The undersigned organizations denounce the ruling on September 24, 2018 to uphold the death sentences of 20 defendants in connection with the 2013 attack on the Kerdasa police station. Egypt’s use of the capital punishment has been escalating at an unprecedented rate, with defendants slated for execution following brazenly unfair trials failing to meet minimum due process standards. The undersigned reaffirm our rejection of the death penalty and renew our calls for an immediate moratorium on mass death sentences in Egypt, and a suspension and review of all death sentences previously issued. The Kerdasa police station case (Case No. 12749/2013, entered as Case no. 4804/2013, Giza plenary) is in connection to attacks on the police station that occurred on August 14, 2013 amidst the dispersals of the sit-ins at Rabaa al-Adawiya and al-Nahda squares. The Public Prosecution charged the defendants with killing 13 policemen, including the police chief and his deputy, along with two local residents who happened to be present at the station. They were also charged with the attempted murder of 30 other police personnel, the destruction of the police building, the burning of several police vehicles and carriers, assembly, and possession of weapons and ammunition. Other defendants were charged with aiding and abetting the defendants in the commission of these crimes. In May 2015, the Fifth Circuit of the Giza Criminal Court, presided over by Judge Mohammed Nagi Shehata, sentenced 188 people to death. On February 3, 2016, the Court of Cassation overturned the Fifth Circuit’s judgment and ordered a new trial before a different circuit based on the invalidity of several trial procedures and the Giza Criminal Court’s infringement of the defense’s rights. In the second trial, the 11th Circuit, presided over by Judge Mohammed Shirin Fahmi, sentenced 20 defendants to death on July 2, 2017 – the sentence upheld by the September 24th ruling. With this ruling, over 50 people in different politicized cases are now awaiting execution after exhausting all avenues of appeal. According to lawyers’ statements, the Kerdasa police station case was marred by several legal irregularities, including the interrogation of defendants in a military zone without their attorneys, coerced confessions, and invalid arrest and search procedures. Furthermore, defense attorneys were unable to communicate with defendants during questioning and trial. Moreover, the court’s judgment relied solely on anonymously sourced political investigations, which were used to collectively indict the defendants absent any concrete, detailed evidence. All these violations infringed the defendants’ rights and undermined fair trial guarantees, which are essential in capital cases involving the loss of life. 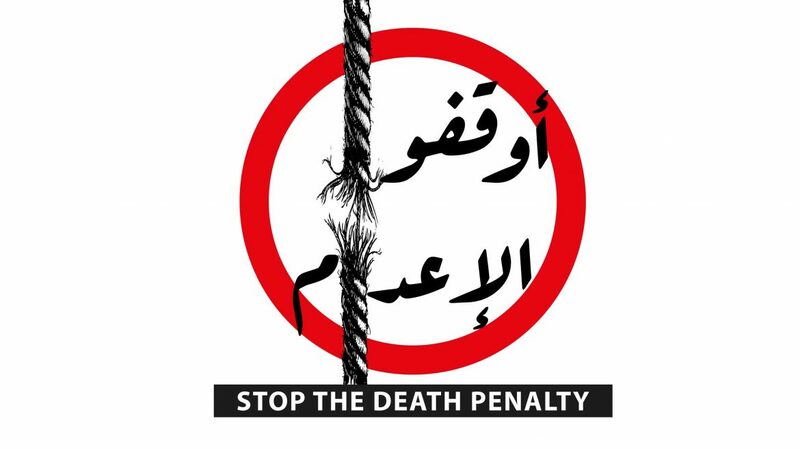 The undersigned organizations reaffirm their demand for the Egyptian authorities to halt the issuance of any new death sentences, and immediately suspend and review all mass death sentences previously issued in line with the global trend towards capital punishment’s abolition. The UN has repeatedly called on Egypt to end its use of capital punishment given the judiciary’s systematic failure to uphold defendants’ fundamental right to a fair trial, and Monday’s sentencing of another 20 people to death is an affront to these calls.